That’s an essential term for those who want to serve masterpiece cuts of beef, poultry, burgers, and much more grilling on a propane BBQ. 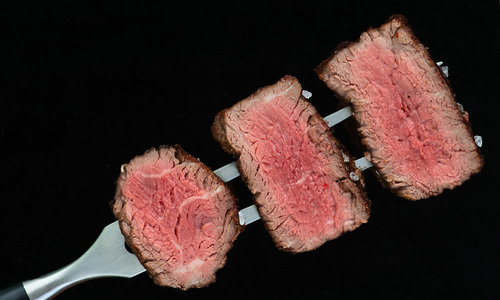 Doneness doesn’t merely refer to a serving being ready to eat. It refers to a certain degree of perfection and food safety. Numerous factors can impact meats prepared on outdoor gas grills such as the PGS line, and these are things to consider. The secret rubs and marinades passed down from generation to generation are most definitely sources of pride. Guests who experience your family recipe delicately cooked and seared on a propane BBQ will likely be left in awe. That being said, rubs and marinades can impact the time and temperature required to achieve doneness. Whether your friends and family members like their thick steaks or choice meats rare, medium or well-done doesn’t detract from the fact ovens, stoves and, of course, stainless steel grills vary. Rubs and marinades can also influence the coloration of meats making it difficult to judge doneness by eye and intuition. Consider the solutions these devices can provide. This critical accessory allows home and commercial chefs to check the internal temperature of choice cuts of meat and poultry to determine if it reached USDA safety and personal doneness standards. Eating undercooked meats can result in illnesses from salmonella, listeria or parasites entering your digestive tract. Checking the internal temperature can remove any doubt that you reached the internal heat measures as follows. There are aspects of using a grill timer that positively effect doneness. The first is that it allows you to set the outdoor gas grill to the correct temperature and not worry about distractions. Once it’s set to automatically shut off at the appropriate time, you are assured proper doneness without fear of burning. The PGS line of stainless steel grills uses specialized grill briquettes to ensure an even disbursement of heat throughout the cooking process. It’s common for inferior grills to suffer leaping flames that scorch meats and poultry. The result is a choice cut burned on the outside and nearly raw at the center. The Moon Rok grill briquettes provide the backyard chef consistency. That, in turn, helps improve quality doneness you can rely on. Perfect doneness brings out the best attributes of a choice cut of meat, and your family recipe accentuates the flavor. That outstanding way of fashioning an ordinary portion into a uniquely succulent meal deserves the best preparation accessories available. That leads us to a second important aspect, outdoor grills incorporating infrared technology. The previously mentioned Moon Rok briquettes are an excellent example of an option that can help improve cooking consistency. But another item that is trending hot is the use of an infrared rotisserie burner with stainless steel grills. Here’s why these can be significant difference-makers in terms of doneness excellence. Infrared technology has emerged as one of the most efficient ways to grill. It can reach target cooking temperatures in as little as three minutes, and that means your cut is fully engaged from start to finish. Another aspect of infrared technology that the general public is only slowing becoming aware of is that it does not disrupt meat surfaces like open flames. In fact, some experts say that using an infrared rotisserie burner can allow foods to retain up to 35 percent more juices. Even a novice chef understands that juiciness is a highly sought after aspect of perfect doneness. In order to serve choice cuts of beef and poultry that maintain food safety standards and achieve the perfect doneness you strive for, consider utilizing the state-of-the-art accessories being offered with PGS stainless steel grills.